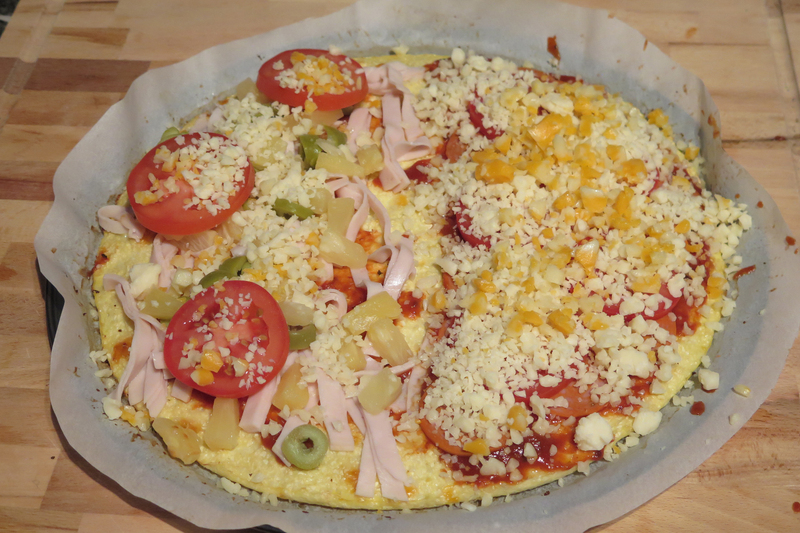 There has been a lot of talk about cauliflower pizza crust and people have asked me if I’d tried it yet. Now I can say that I have. I have to confess that I’m not a big pizza fan. Once in a while I can eat it but not too often. I just don’t like the floury crust. I have to say I was very skeptical about this cauliflower crust pizza. plus your desired toppings and cheese! 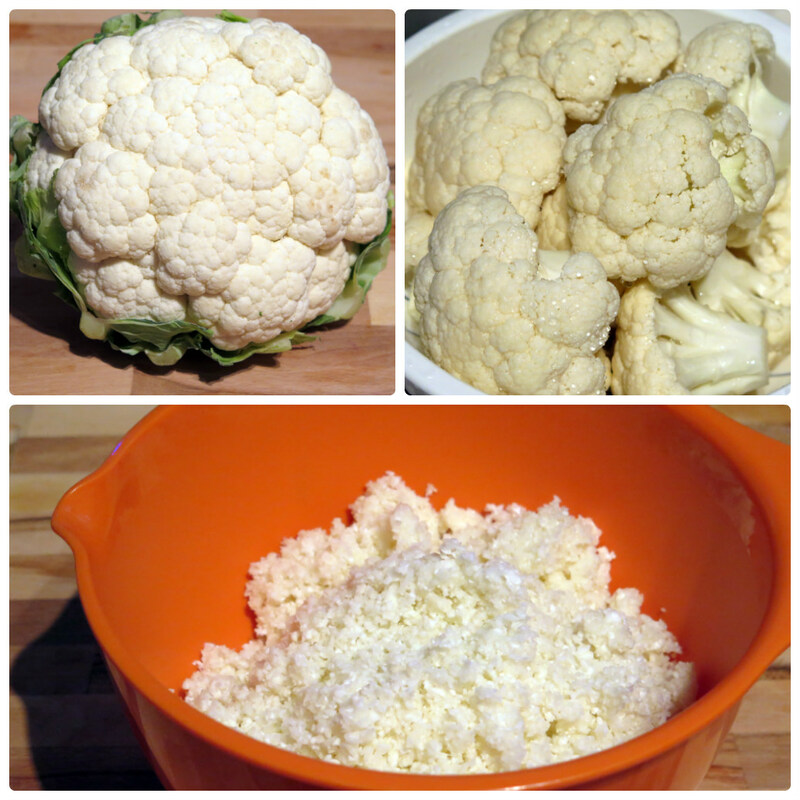 Wash your cauliflower and cut into florets. Pulse in a food processor until fine. In a bowl, combine cauliflower with mozzarella, Parmesan, onion salt and eggs. 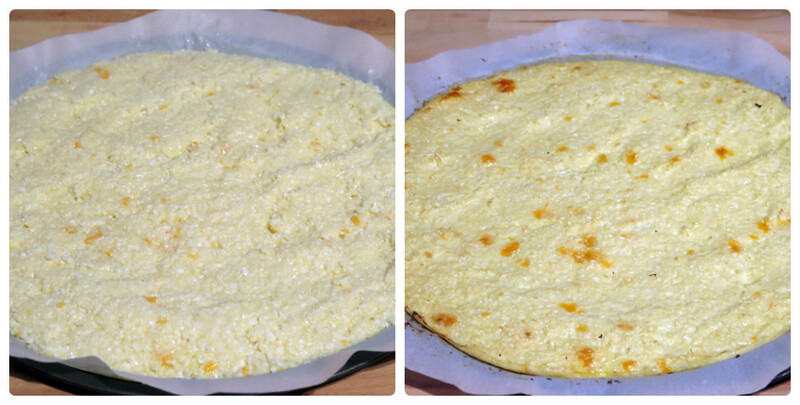 Line a pizza pan with parchment paper and spread the cauliflower mix. Bake for 30 minutes or until lightly brown. Add whatever toppings you’d like and bake for another 10 minutes. We made one side for me and other side for my husband. 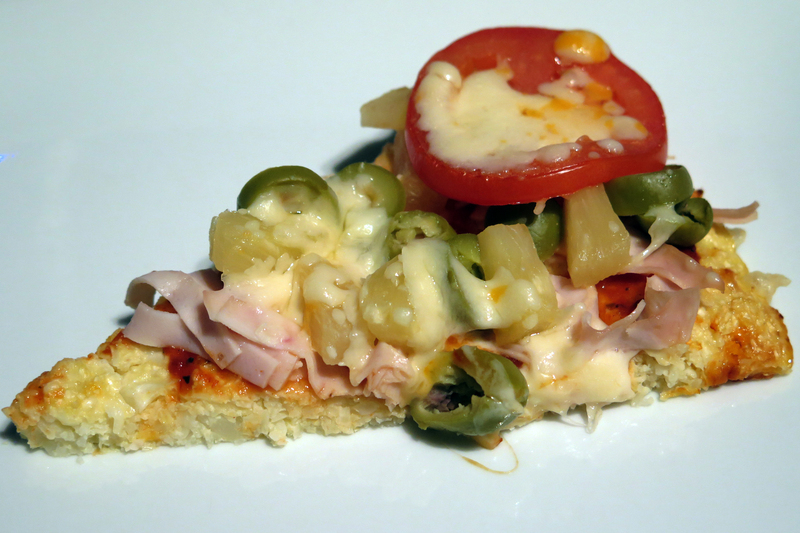 I used chicken breast, pineapple, olives and tomato, plus a little bit of marble cheese. I was pleasantly surprised, I loved it. I didn´t think I would 🙂 Oh and Rob was very impressed with this too. with the heavy flour of a pizza crust, I’m gonna give this a whirl, so to speak! Thank you! Let me know how it turned out! Well, I’ve never heard of a cauliflower pizza crust! Given that I’m a massive fan of it, I’ll definitely have to give it a go. Great idea! You will be pleasantly surprised, it´s good! Let me know how it turned out!